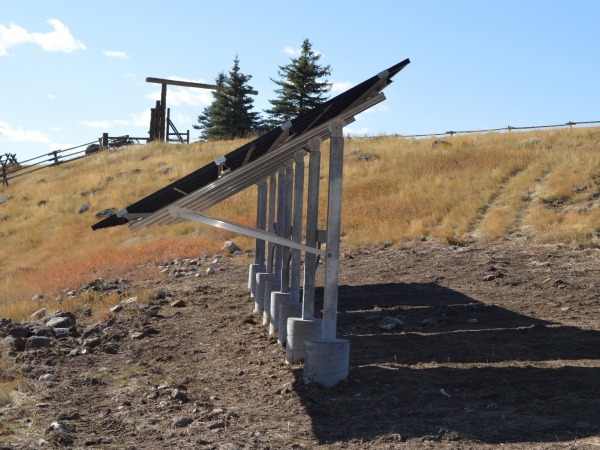 Completed in October of 2013, this 10 kW ground-mounted solar array is projected to offset 100% of the electrical usage at Hawks Ridge Ranch located in the Madison Valley, south of Ennis, MT. Solar Power in the Madison Valley! Using an innovative ground-mount racking system, American made solar modules, and high-efficiency transformerless inverters, this system will be producing clean renewable solar energy for many years to come. Web based communication modules are also installed in order to allow the system owner to remotely monitor real time as well as historic energy production over the web. 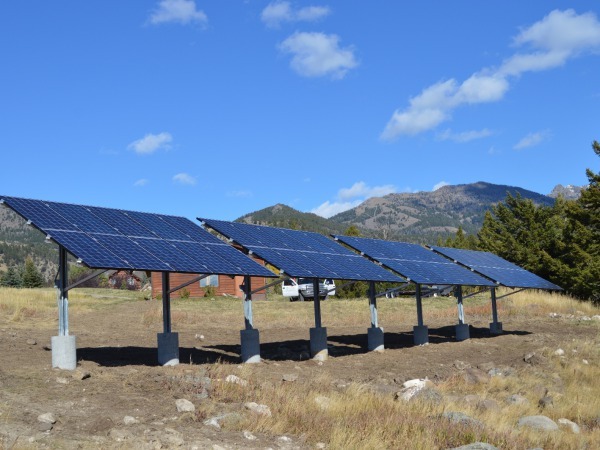 The most challenging part of this installation was the excavation and foundation work, as well as the underground trenching of the array and inverter output circuits, in between regular storm fronts up against the Madison Range. Our hard-working crew executed with plenty of time to spare before the big freeze of winter! We were impressed with Onsite Energy's professionalism and attention to detail. Their quote was competitive and they accurately laid out the install and coordination required with the utility. We scheduled the install for September and their crew completed the project on time despite a few cold storms passing through. We are able to monitor the system remotely which is a feature we recommend. The post install support has been excellent. 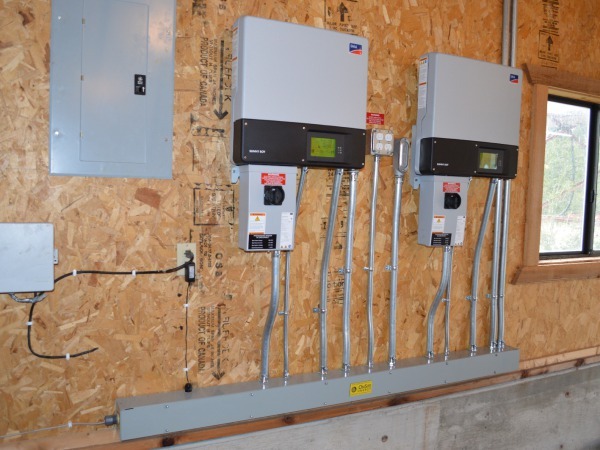 We would highly recommend Onsite Energy to anyone looking to install a solar electric system on their property.